Although a lot of courses are now delivered at Oban or Ullapool, FITA remains committed to deliver training throughout the Highlands and Islands area. A minimum of 6/8 people are needed to ensure that courses are viable. Please contact Lachie to book a course in your area. The mandatory safety training courses will also take place during the 3 week Introduction course. There may be some places available. Please phone for more information. All Oban courses are held at our Training Room at Alba Sailing, Dunstaffnage Marina unless otherwise stated. The twice yearly Introduction to Commercial Fishing Course for new entrants to the industry takes place June and December and includes all the mandatory Seafish certificates i.e. Sea Survival, Fire Fighting, First Aid and Health & Safety for New Entrants. 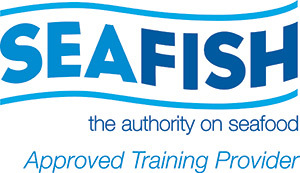 The 3 week Introduction to Commercial Fishing course is held at our training room at Alba Sailing, Dunstaffnage, Oban. Take the Wide Mouthed Frog/Dunstaffnage Marina exit north of Oban.